It might not contain any of the tournament favourites, but with several of the world’s most talented strikers on show, World Cup bitcoin betting for Group A is one of the most intriguing mini-leagues in the tournament. Can the hosts handle the pressure? Can Saudi Arabia spring a surprise? World Cup 2018 hosts, Russia, had been hoping to use this summer’s tournament as a means of cleaning up their global image, but with political tensions running high between Vladimir Putin and the UN suffice to say things aren’t going according to plan. The Russian team, then, are under enormous pressure to portray a positive image – and despite their low quality squad it is certainly possible they will qualify for the second round. Elsewhere in the group Luis Suarez and Mohamed Salah will be in action for Uruguay and Egypt respectively, while the latter will look forward to facing their neighbours from across the Red Sea. Saudi Arabia, the lowest ranked nation to have qualified, are highly unlikely to finish above their three opponents in Group A, but the other three are all volatile in one way or another – making for an open field. This could be an unexpectedly exciting group. Having qualified as hosts Russia are seriously lacking in competitive experience, which is particularly problematic given coach, Stanislav Cherchesov, is currently in the process of bringing young players into the side. Cherchesov plays three at the back, a system few nations will use this summer, but if recent results are anything to go by Russia are tactically ill-prepared for the summer. They were easily beaten 3-1 and 3-0 by France and Brazil respectively in March this year, draining some of the confidence from their 3-3 draw with Spain in November. Russia are seriously lacking in competitive experience, which is particularly problematic given coach Stanislav Cherchesov is currently in the process of bringing young players into the side. The continued absence of Igor Denisov, left out by the coach, is just one of many reasons why Russia’s defence isn’t up to scratch, although forwards Aleksandr Kokorin and Fyodor Smolov are both in double figures in the Russian Premier League. They kick off the tournament against Saudi Arabia, which should mean victory and a celebratory atmosphere inside Russia, potentially providing enough momentum to scrape through to play either Spain or Portugal in the next round. Egypt are something of a wildcard this summer, currently third favourites to qualify for the second round thanks to a series of poor performances and their 28 year absence from the World Cup. However, the Egyptians reached the final of the 2017 Africa Nations Cup and thus must be taken seriously despite their inexperience. What’s more, their cautious defensive approach – though criticised heavily in Egypt – could be very effective when facing Uruguay and Russia. Head coach Hector Cuper is among the most decorated at the tournament (he took Valencia to two Champions League finals) and has built a solid defensive structure. With West Brom’s Ahmed Hegazi controlling the back line, Egypt have conceded more than one goal just twice in their last 32 matches. In Salah Egypt possess one of the world’s finest talents – scoring over 40 times for Liverpool this season and taking them to a Champions League final - while Arsenal’s Mohamed Elneny has proven to be a hugely influential leader on the pitch from central midfield. Recent friendly defeats against Portugal and Greece have seen their odds lengthen, but qualification from Group A is definitely on the cards. Oscar Tabarez leads Uruguay for the third World Cup in a row, and his fourth in total, having never failed to reach the knock-out stages. A big portion of the 2014 squad (that lost 2-0 to Colombia in the second round) remains with Tabarez, including Diego Godin, Luis Suarez, and Edinson Cavani. Possessing two of Europe’s finest strikers is clearly a huge advantage for Uruguay, although it does mean they play a 4-4-2 formation – which leaves an ageing defence open to attacking teams. Uruguay enjoyed a very strong qualifying campaign, finishing second only to Brazil with a record of nine wins from 18 games. The question is, will their brave attacking style serve them well, or leave the Uruguayans open to quick counter-attacks? Nevertheless they shouldn’t have a problem advancing to the next round, not with Godin and his Atletico Madrid partner Jose Gimenez at centre-back. Providing of course that Suarez avoids the controversy that was such a distraction in Brazil. Ranked 69th in the world by Fifa, Saudi Arabia won’t be pulling up any trees this summer, primarily because they are the most unsettled nation competing at the World Cup. The Saudis lost their manager Bert van Marwijk shortly after qualifying in September 2017 following a contract dispute, and his replacement Edgardo Bauza was sacked after just two months in charge. This may reflect wider turmoil at home where the new Crown Prince is desperate for international credibility which the national football team could help provide. The new coach Juan Antonio Pizzi has very little time to find the right system, with a recent 4-1 defeat to Iraq highlighting the size of the task ahead. Keep an eye on Mohammad Al-Sahlawi, who scored 16 goals in qualifying, but overall there is little hope for Saudi Arabia, which is reflected by the odds. World Cup bitcoin betting for Group A at Cloudbet may seem like a three-horse race but the pool could be a lot tighter than the odds suggest. The opening games will be critical in the final outcome but that isn’t the only bitcoin betting opportunity. 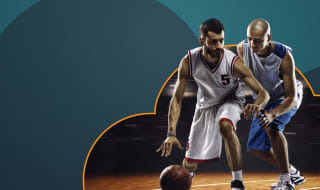 There are a huge range of markets available at Cloudbet for Group A; take advantage of our great value odds, high limits and the advantage of betting on the World Cup with bitcoin. Russia were certainly the surprise package of the tournament. After a laboured start against Saudi Arabia, they're looking likely to be the top-scoring team heading into the knockout stages. They certainly benefitted from lax defending by the Saudis and a less than influential Mo Salah when they played Egypt. However they'll certainly face a sterner test from either Spain or Portugal. Luis Suarez again showed his importance to the Uruguayan team popping up with the vital goal to break Egyptian hearts and knock out the Pharoahs. Read more about how the World Cup has progressed in our World Cup Guide.